Of the 6.5 million people who live in Switzerland, roughly 75% speak German. Another 20% speak French, 4% are fluent in Italian, and fewer than 1% (some 48,000 citizens of Canton Graub�nden) are native speakers of the ancient language known as Romansh. 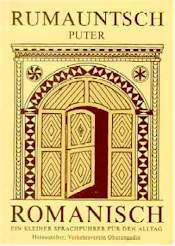 Romansh probably dates back 1,500 years or more. The language is based on the so-called vulgar Latin, or "people's Latin," with influences from Etruscan, Celtic, and other languages spoken by early settlers in the mountain valleys of what are now the Grisons and Italy's South Tirol. It was officially recognized as Switzerland's fourth language on February 20, 1938, and was formalized as the written language of Rumauntsch in 1982. The language encompasses the dialects of Puter, Vallader, Jauer, Surmiran, Sutsilvaun, and Sursilvaun, together with Ladin (spoken around Bolzano and Cortina in Italy's Dolomites) and Friulaner (used by some 500,000 people along the Adriatic coast north of Venice). To make matters more complicated, the term "Ladin" is also applied to the Puter, Vallader, and Jauer dialects of Switzerland's Engadine. None of this matters to the tourist, who's likely to think a Romansh street sign or newspaper headline is written in mispelled Italian. The "Romansh League" promotes the Romansh language and Rhaeto-Romansh culture through libraries, courses, and publications. The site is in Romansh, German, Italian, French, and English. This book (see top photo) is an excellent introduction to the Puter dialect spoken in the Upper Engadine resorts of Canton Graub�nden. It contains basic phrases, pronunciation, a grammar, and vocabulary lists. Polyglott is one of Europe's leading publishers of phrasebooks. This volume is divided into sections such as "Grammar and Pronunciation," "The Most Important Elements in Brief," "Trains and Postal Buses," Food and Drink," etc. It includes phrases in Ladin (spoken in the Engadine) and Sursilvan (Western Graub�nden). An astonishing amount of research and work went into this hefty German-to-Ladin dictionary, which was first published in 1944 and updated in 1982.